Nestled between railroad tracks and a cement recycling plant in San Francisco’s Bayview neighborhood lives a little herd of urban goats with a big appetite for one of the only things that flourished in the the California drought: dry, fire-hazard brush. Since 2008, City Grazing has been herding mixed-breed goats in the unlikely meadow and sending them on freelance assignments to eat up overgrowth everywhere from San Franciscans’ backyards to federal land in the Presidio. The landscaping goats are a green alternative to heavy machinery and pesticides and can easily graze steep hillsides, all while leaving behind a biodegradable fertilizer. Starting last year, California’s driest year on record and host to the devastating Rim Fire, the company was inundated with calls asking about goat landscaping as a way to protect the land, City Grazing’s Genevieve Church told The Huffington Post. With triple the call volume, City Grazing decided to grow its goat family, and since January, around 50 baby goats, or kids, have been born into the herd and doubled its size. On Sunday, the company held an open house at the meadow where the public could watch a ceremonial “running of the goats” out to pasture. City Grazing -- the city’s only goat operation -- is relatively small compared to similar landscaping herds in nearby rural areas where the goat count is in the thousands, Church said, but keeping the business small allows her and the team to know and name each goat, tap into their distinct personalities and send the right grazer to the right job. While other landscaping goat herds have been employed in Portland, Seattle and Los Angeles, the goats in San Francisco may also be responsible for some social good in their neighborhood. 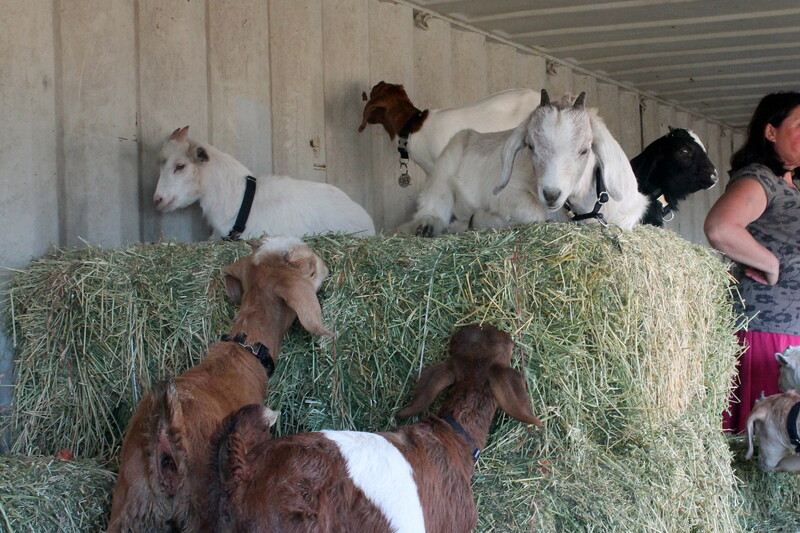 As far as the goats' well-being, Church says their exceptionally diverse diet has done their bodies good. "(University of California), Davis provides all our veterinary care," she said, "and they've been fascinated by how healthy our animals are."